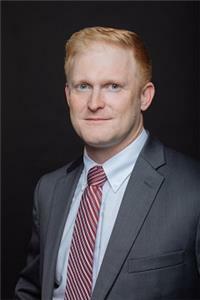 Chattanooga law firm Grant, Konvalinka & Harrison, PC announce the addition of an associate to its practice: Lee Mangum. Mr. Mangum is a native of Newnan, Ga. After serving in the United States Army, including a tour overseas, Mr. Mangum graduated from the University of West Georgia with a degree in political science. Mr. Mangum then went on to attend the University of Georgia School of Law on a merit scholarship to obtain his law degree. While attending law school, Mr. Mangum served on the Georgia Journal of International and Comparative Law, and clerked for a judge in the Fulton County Superior Court in Atlanta. During the summer of 2016, Mr. Mangum interned for Grant, Konvalinka & Harrison, P.C. prior to joining the firm as an associate. Mr. Mangum's practice areas are business and corporate law, real estate, personal injury and wrongful death, and immigration.